David Harbour in "It's A Tide Ad"
Procter & Gamble scored two primetime commercial Emmy nominations this year--one for “The Talk” out of BBDO New York, the other for Tide detergent’s “It’s A Tide Ad” from Saatchi & Saatchi NY. Earlier, SHOOT caught up with the creative team on “The Talk” (SHOOTonline, 7/31/18). 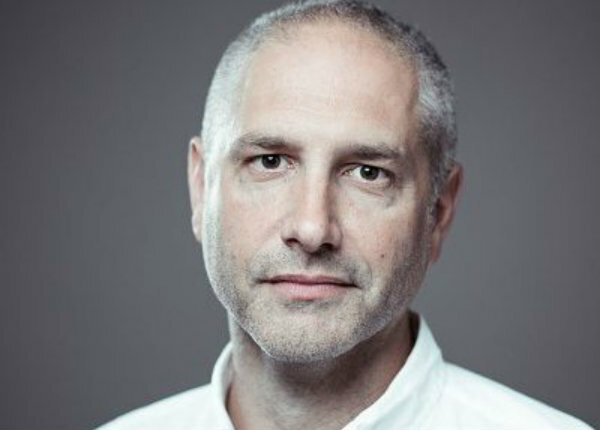 Now we connect with Paul Bichler, executive director at Saatchi NY, to get his reflections on his shop’s Emmy-nominated Tide spot. The Tide work in essence hijacked the 2018 super bowl telecast by turning seemingly every ad into a Tide commercial. It kicked off with actor David Harbour establishing that whenever the viewer sees clean clothes, it’s a #TideAd. He then appeared six more times in stereotypical Super Bowl ads, send-ups of several infamous past Super Bowl spots, and even as part of the broadcast. #TideAd trended on Twitter immediately, with people even generating their own #TideAd content. For the Tide campaign, Saatchi turned to directing collective Traktor who at the time was with production company Rattling Stick. Traktor has since signed with Stink for global representation. In addition to “It’s A Tide Ad” and “The Talk,” this year’s field of primetime commercial nominees consists of: the Monica Lewinsky anti-bullying PSA “In Real Life” directed by Win Bates via BBDO Studios for BBDO New York; Apple’s “Earth: Shot on iPhone” from TBWA\Media Arts Lab; and Amazon’s “Alexa Loses Her Voice” directed by Wayne McClammy of Hungry Man for agency Lucky Generals. Meanwhile Lewinsky’s PSA serves as a powerful exploration of bullying by recasting the issue and asking the question: “If this behavior is unacceptable in real life, why is it so normal online?” The film portrays people publicly acting out real online comments to illustrate that at the receiving end of every comment is a real person--a fact all too easy to forget in today’s online culture. While the bullies and the recipients of denigrating talk in the PSA are actors, those who intervene to stop the bullying are real people, which gives a life-affirming positive tone to the work. Amazon’s “Alexa Loses Her Voice,” which debuted on the Super Bowl this past February, shows what happens when news breaks that Amazon’s personal digital assistant has lost her voice. Thankfully Amazon has a backup plan with celebrity stand-in voices at the ready--from Gordon Ramsey to Rebel Wilson, Cardi B and Sir Anthony Hopkins. The plan works--kind of. And the “Shot on iPhone” campaign first debuted in 2015 showcasing the photos and videos of iPhoneographers around the world, all beautifully captured with the powerfully capable camera on the iPhone. Over the years, the platform has evolved to include content celebrating cultural moments like Bastille Day or Chinese New Year, and to communicate the brand’s values. Such is the case with this year’s Emmy-nominated piece--”Earth: Shot on iPhone”--which was a timely love note to the planet and a poignant reminder that our environment is precious. The primetime commercial Emmy winner will be announced and honored on Sept. 8, the first of the two-day weekend Creative Arts Emmy Awards proceedings in Los Angeles.